The next bit of Call of Duty: Black Ops 3 DLC has been revealed. The zombie fighting team of Dempsey, Nikolai, Richtofen, and Takeo move from the islands to the Stalingrad in "Descent," and apparently the Russians are upping the game. 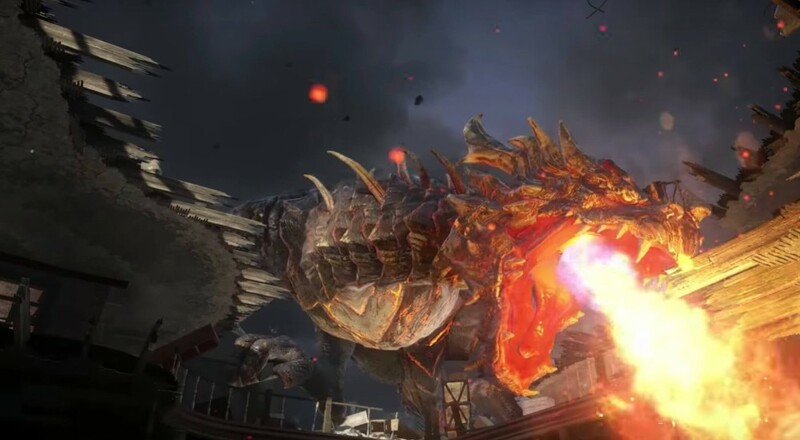 Gorod Krovi is the next chapter in the zombie tale and it will be set in an alternate U.S.S.R. where there are undead in mech suits and dragons. Yep, there really isn't anywhere else to go with all of this other than dragons at this point. The Descent DLC pack will arrive on the PlayStation 4 first on July 12, and the Xbox One and PC sometime later (presumably in August if it follows the trend). As with the previous DLC packs, it will retail for $15 and you'll get it automatically if you've already purchased the Season Pass. Page created in 0.2745 seconds.